On this edition of Must See TV for the Fall 2014 lineup we come across another sitcom that struck gold last year. 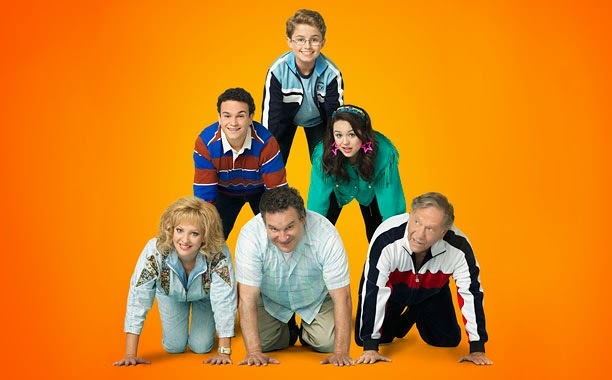 The Goldbergs was created by Adam F. Goldberg and stars Wendi McLendon-Covey, Sean Giambrone, Troy Gentile, Hayley Orrantia, George Segal, and Jeff Garlin. The show premiered last year on September 24 following Marvel's Agents of S.H.I.E.L.D. ABC planned the placement of The Goldbergs perfectly in their fall line up last year. I remember watching the premiere of Agents of S.H.I.E.L.D. with a group of friends and then ultimately leaving the TV on and catching The Goldbergs. I was caught up in the quirky suburban family from the '80s and began watching the show on a weekly basis. I look forward to this year's stories from the new family of comedy! The second season of The Goldbergs premieres September 24, 2014 on ABC.